Brian is absolutely fantastic at understanding dogs and showing their owners how to behave with them. Our poodle was nearly two when we got him and hadn’t had much training, we believe. He barks at everything, howls and cries if we leave him, suffers from separation anxiety – but to see how he changes just because Brian’s in the room, he becomes calm and quiet, Brian just has that instant effect on him, it’s wonderful. We’re grateful that Brian explains things so well, both about our behaviour towards our dog and about dog psychology in general. We’ve learnt so much and are noticing a huge change in our dog’s behaviour in such a short space of time, it’s unbelievable. Makes for a happier, calmer dog and happier, calmer humans!! I contacted Brian at the start of the year in a panic, as my newly arrived South-east Asian (Hmong) Hunting Dog (SuSi) had developed a taste for chasing sheep. 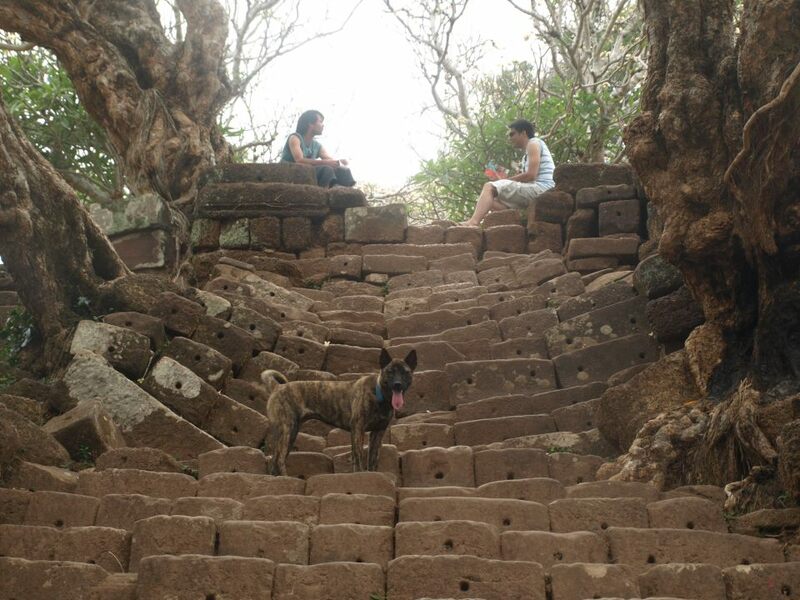 She’s 5 years old and has spent her entire life living free-range in northern Laos; about the most independent dog you could imagine. Susi is an escape artist and capable of climbing all fences she has encountered to date. She has (or should I say, had) zero recall. With sheep all around our house I couldn’t imagine how things were going to turn out. Brian made time for us immediately, and he tailored a solution suited to both me and Susi. His training led to much more than sheep aversion, and has totally turned around our owner-dog relationship and day to day life. Part of me always worried that training her would mean losing a piece of her free spirit — I’m so pleased to find out that this is not the case at all. She’s the same dog, just happier and more settled than I’ve ever seen her. Our interactions are all positive now, and from time to time we share moments of mutual understanding that would not have been possible without Brian’s help. Thanks Brian! I strongly recommend his services. I contacted Brian because both of my dogs were pullers and walking on the lead was not fun. In little more than an hour I had two lovely non-pulling dogs and no longer felt like I had arms like Mr Tickle. A few days on and they are both doing great. Worth every penny and more. A month or so later I asked Brian to visit to help with Blue who was struggling to learn not to jump up. He showed me how quickly she responded to clicker training and already, just 24hrs on she’s less inclined to jump up. Great results. I could not recommend Brian & the service he provides highly enough. Max has had 2 sessions with Brian & the difference is unbelievable. Max has gone from a dog who was always jumping up & who couldn’t be left on his own without him making an awful noise to become a biddable, calmer & more obedient wee man. If anyone is looking for a trainer to help them with their dog I would suggest to look no further than Brian. Thank you so much Brian for making my life & Max’s a lot easier. Brian is brilliant. Called him to help with my boxer who pulled, had him walking by my side within 20mins! Cant thank you enough Brian for making my walks with Bobby much more enjoyable. Brian has been working with my 9 month old Romanian rescue dog, Beren. Over the past couple of weeks, I’ve seen Beren change from a frightened puppy to a much happier, well adjusted member of our family. Beren loves working with Brian now and gets so much out of his training sessions. I can’t thank Brian enough. Amazing! I was in despair with my 10 month lab while walking, to the point of thinking I could not manage my own dog. Desperation, I made the call to Brian, he quickly made time to meet us and within half an hour, my totally mad, unruly dog had turned a massive corner. I now know what I need to do to make our walks enjoyable. We now need to start obedience training!!! Thank you so much Brian. Brian was fantastic. Took Lucy for one visit & we had our problems sorted. Recall is now fantastic & she is no bother while out & about. Cannot thank Brian enough. First class service. I would highly recommend this service. Thanks Brian. I have been up the wall with my Sprocker pup 6months old. Always pulling, I have spent a fortune on all the fancy harnesses and puppy training classes but I still have one arm longer than the other. As a last resort I googled dog trainer in Dumfries and found Brian. I could hardly believe my eyes that after just 20mins my pup was walking to heel without pulling using a very simple lead he designed himself. I can’t praise him highly enough. Thanks Brian. Can’t thank Brian enough. In just 10 days we have seen a massive change in our Labrador – mainly by training us more than the dog lol. It’s been great to be given the help and advice to help our dog – who wasn’t adjusting all that well to our new addition to the family. He’s so much better already. Still a way to go, but very confident that we are on the right road to a happy & obedient dog. Highly Recommend K9 Care dog training to everyone in need of assistance with their 4 legged friends! Brian is brilliant. Called him to help with my boxer who pulled on the lead, had him walking by my side within 20mins! Can’t thank you enough Brian for making my walks with Bobby much more enjoyable. We have turned our dogs behaviour around with the help of K9 Care Dog Training. Our dog walks are now an enjoyable experience again. Thanks so much. We can’t recommend or praise Brian enough. 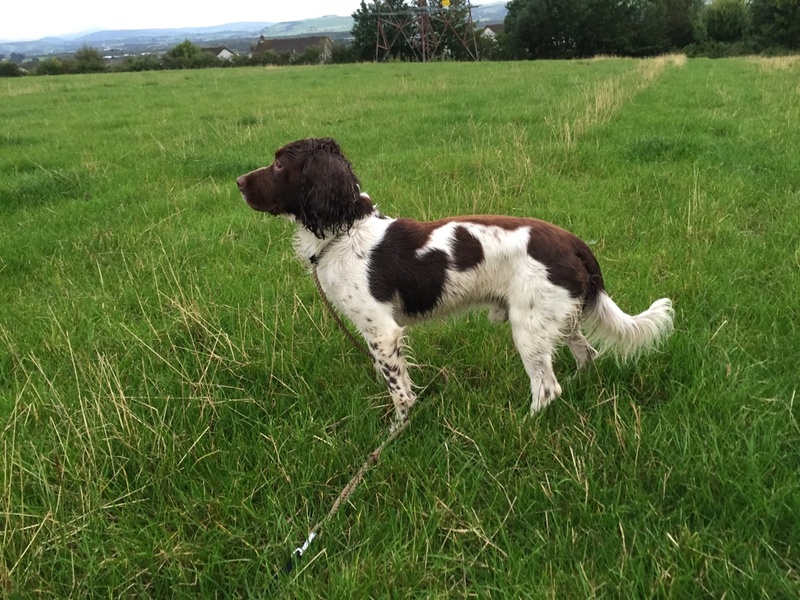 our springer spaniel Murphy was really difficult to take for a walk & had some bad doggy manners. Thanks to Brian’s hard work & knowledge, Murphy is a completely different dog & a pleasure to walk. We learnt a lot from Brian about how dogs think & only wish we had found Brian a lot earlier than we did! We are really pleased with the service we have received so far. I contacted Brian as I wanted a dog trainer to put us on the right track with our puppy. 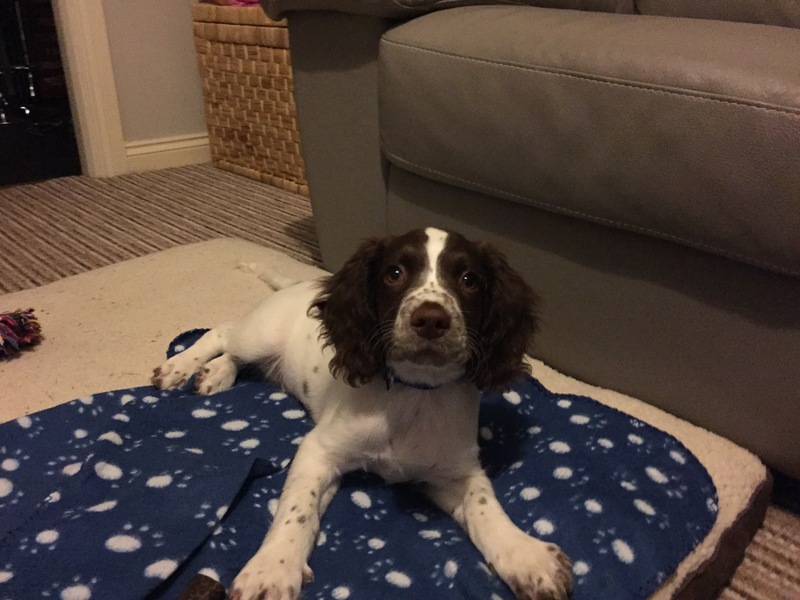 I wanted help with how to stop him biting and other things and Brian was really helpful, offered advice and made me feel more confident to deal with it……….would definitely recommend. Fantastic! 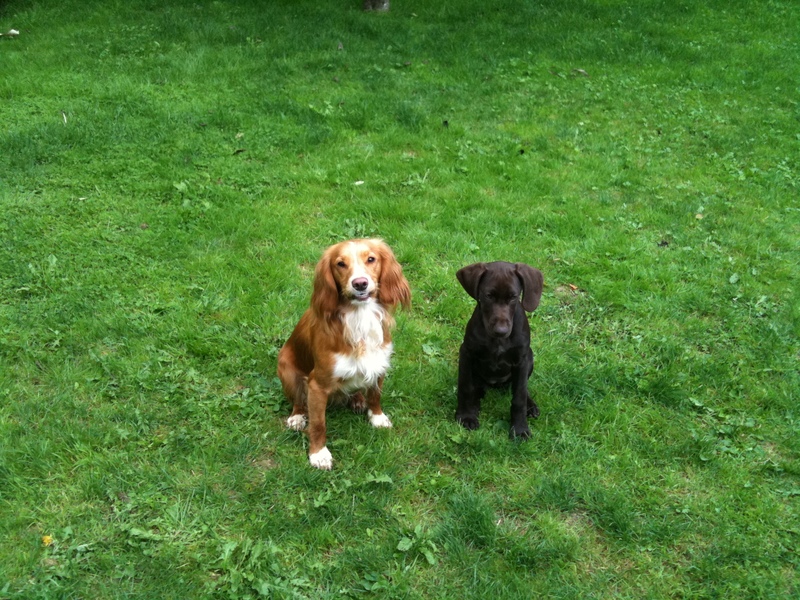 Had Brian help me with our 2 spaniels today they have learned so much already and so have I!! I would recommend highly to anyone with dog training issues, wish we had found him months ago!! Brian helped us lots when we got our GSP pup. Introduced us to ‘clicker training’ which worked really well! Fab service.